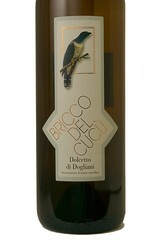 We met Dario Sciolla for the first time in Piedmont a few years ago and were very impressed with his wines. He hails from a little town called Bastia Mondovì about 16 miles south of Barolo in dolcetto country. Dario's family has been growing grapes here for generations, the vineyards surround the family home but Dario was the first to bottle wine. His winery is about as big as your garage, ok maybe slightly bigger, but his was built around the time Columbus was dodging hurricanes in the Caribbean. In the mouth the wine is lush; it rolls across your palate, with layers of black fruit flavors. This is a food wine if ever there was one, and it goes with everything from meat and cheese filled pastas to roast fowl, lamb chops on the grill, you name it!